Steps1: Option1: Installing gnome-art,an application for managing the splash screens of the GNOME desktop. Go to Applications->Ubuntu Software Center,search and install “art manager”(without quotes). Once installation finish,launch this from System->Preferences->Art Manager,or type “gnome-art”(without quotes) in terminal. Option2:Unfortunately,gnome-art is not maintained any longer,and this doesn’t work for my ubuntu!So I installed Gnome-Art NextGen instead. 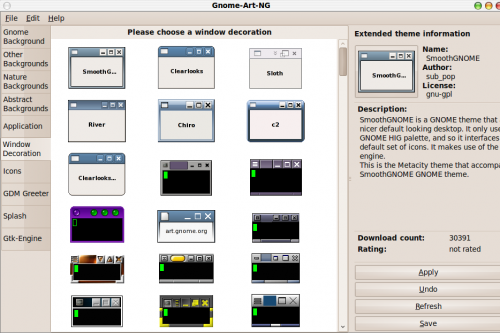 Now,launch Gnome-Art NextGen by typing “gnomeartng”(without quotes) in terminal. In Window Decoration tab,choose one theme. 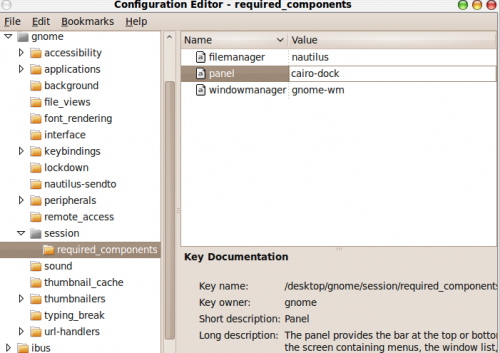 Step3:Install cairo-dock,and use this replace gnome-panel. In Applications->Ubuntu software center,search and install “cairo-dock” (without quotes). 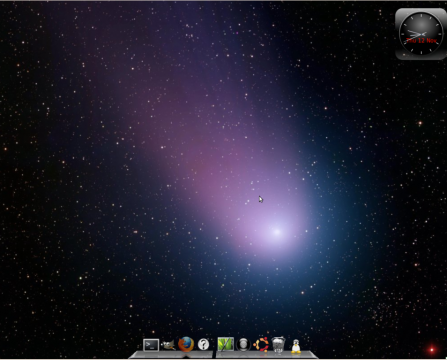 13 users responded in " 3 Steps to Make Ubuntu 9.10(Karmic) looks like Mac OS X "
/tmp/gnomeartng-0.7.0-jaunty-1.deb could not be opened, because the associated helper application does not exist. Change the association in your preferences. i have been able to install the (as per the notes for installation) “no longer maintained” gnome-art. is there another site available? or a fix to my error message? That should be the issue of your web browser,try google “associated helper application does not exist”. It is possible to download the file. Do not go go with the DEBI installer, but select the download to your HD. The more serious problem is that when I run the installer, there is an unsatisfied dependency. The installer is looking for the “mono-common” and the Ubuntu people have decided to exclude that from the Synaptic listings. Ergo, it is not possible at this point for me to make my desktop to look like a MAC, unless you have a better or alternative suggestion. This is amazing…I was looking for something like this for a long time…i did not want to use KDE for the reason that it looks alike windows and crahses alike Windows when i play games….This one is really kewl. There are plenty of customization options, themes for the dock and animations. Thanks for this post. how do i get the original top dock back? 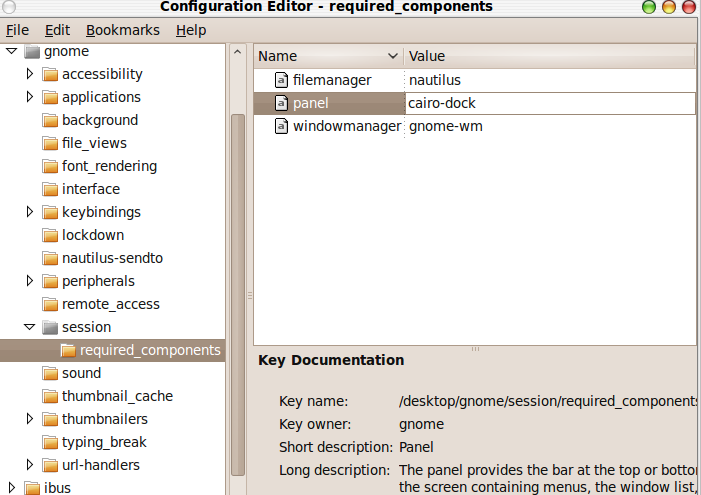 gconf-editor–>desktop/gnome/session/required_components,change value of “panel” back to gnome-panel. does this really work in ubuntu 9.10(karmic) because the package for karmic is not given in the page u gave link. Make sure you have the downloaded cario installed successfully and have it auto-start at login. (Goto System->Preferences->Startup application,click Add to add a auto-start application.) This should fix the problem.Good luck!